I don't know about you...we had a fun Halloween (pictures coming soon, I promise! )...but I am so ready to throw myself into Christmas preparations. I just love this time of year sewing up lots of homemade gifts. 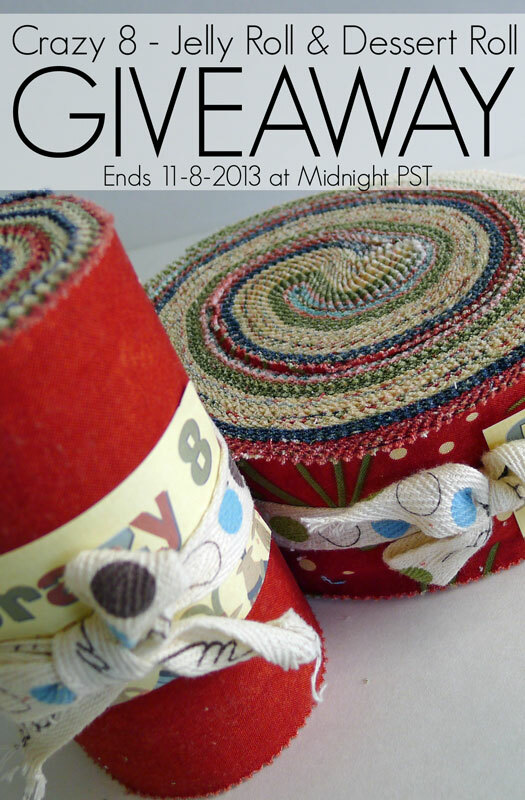 Patty from You Keep Me in Stitches is offering up a Crazy 8 Jellyroll AND a Dessert Roll. 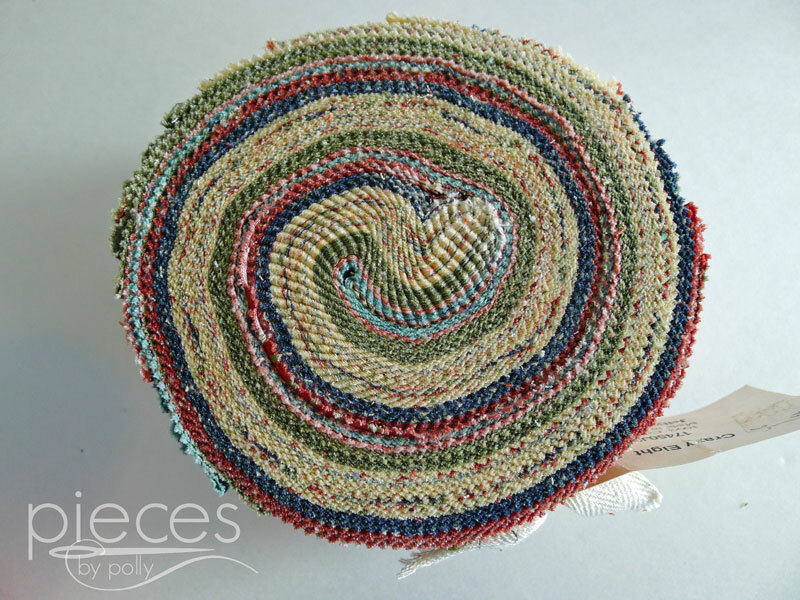 The Jelly Roll has 2 1/2 inch strips from the whole collection and the dessert roll is made of 10 5-inch strips of the textured solids from the collection. Precuts are awesome to sew with because the most tedious part...the cutting...is already done for you. I'd also like to remind you about the sale going on over at You Keep Me in Stitches. Patty is offering Pieces by Polly readers a 20% discount off EVERYTHING on in her store AND 20% off everything on her sister site, Granma's Treasures. Just use the Coupon Code "Polly Pieces" at checkout through Nov. 15th. And if you're looking for some other Christmasy goodness from You Keep Me in Stitches, you might be interested in some of these fun finds. And don't forget, You Keep Me in Stitches also has some amazing yarns. Now for the giveaway! Due to shipping costs, this giveaway is only open to US Residents...or if you're outside the US, you may enter if you're willing to pay the difference in shipping costs to your country versus US shipping. The giveaway will close at 11:59 pm on Friday, Nov. 8th. Good luck! I actually really love the Crazy 8 line! I think I would make quilted table runners for everyone on my list! I have a collection of reindeer decorations, and this would make either a fun throw or pillows for decorating! I'm loving the Basic Grey Sweet Serenade line! They would be a great Christmas gift for a friend of mine. I LOVE the Holiday Frost by Henry glass. I've actually been wishing lately that I had a quilted Christmas Runner for my entertainment center. That'd be so pretty. As for gifts, I don't sew enough yet but who knows. :). I'm not sure what's wrong w/ my Google ID so this is Hollin G.
This is beautiful fabric! 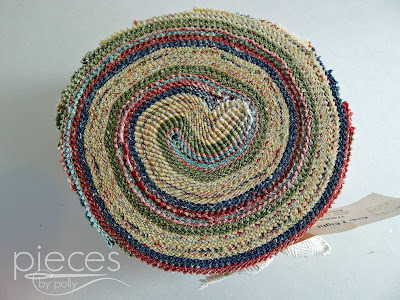 I would love to use it for a beautiful table runner to give to my mother-in-law. And maybe make some napkins to go along with it. Thanks for the giveaway!! What a great collection! I could make a lot of mug rugs with it! I really love the Crazy 8 line! I'd love to use it to bring some Christmas spirit to our house! Thanks for the chance to win! 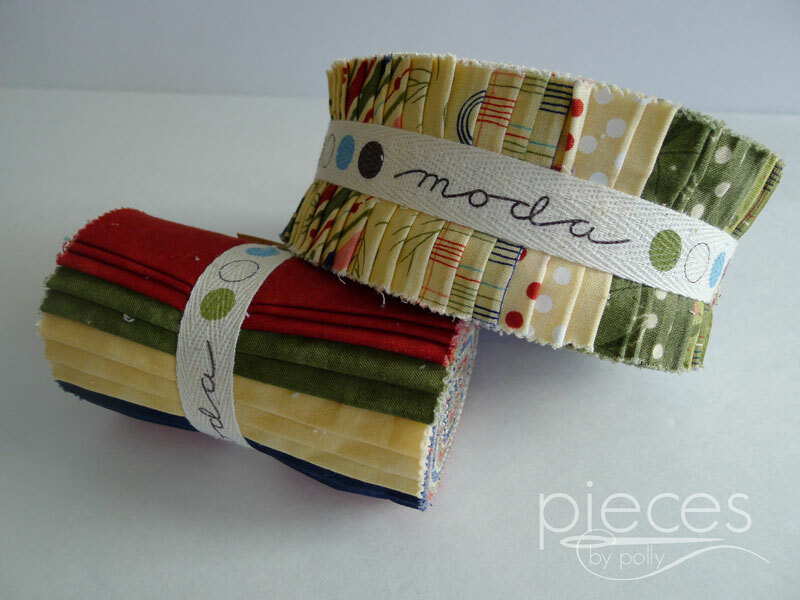 I love the Holiday in the Pines jelly roll. It would make a beautiful holiday quilts. Thanks for holsting this fun giveaway! I love the Basicgrey Sweet Serenade fabrics, I'd love to use them in some pillows. Thanks for a fun giveaway. I live outside the US, but am happy to pay postage costs. 212720-J Black would work good to calm down all the wonderful colors I work with. So many more, I could list. I love the Bonnie and Camille Happy Go Lucky! 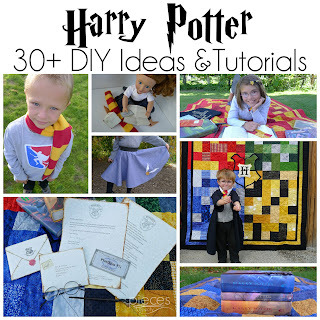 Great for a quilt for kids! Holiday Frost is one of my favorite collections for the holidays. I'd choose to use this. 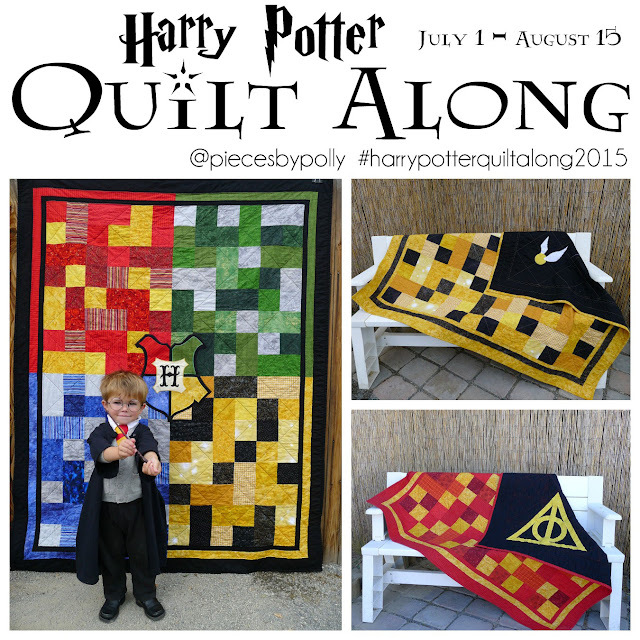 Looking for toddler/young adult easy quilt ideas for a ninepatch. Would love any idease from you ladies. Love the quilt fabric giveaway. Beautiful pieces. I am need of some basic things to start making stuff for Christmas, like batting :), a lovely giveaway, thank you. The Snowman Gatherings would be great in a table runner I am working on. I do like the fabric you are featuring in your giveaway, very nice! Love the fabric! I am sure I can find the right project for it. Your blog is so fabulous. Love the Holiday Frost collection. I'd love to have about six yards of Red Rooster 23452-blu1 Home to Roost for a quilt back. Thanks for the chance to win! Love the crazy 8's! 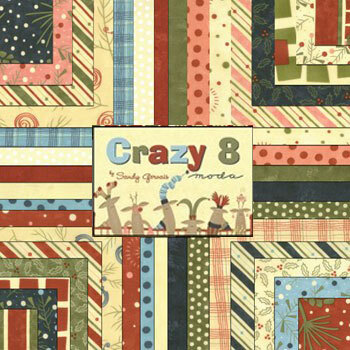 Christmas is family time, so I think a wallhanging to welcome everyone would be my project. Thanks for all your giveaways! Can't wait for the QAL. What gorgeous fabric. Thanks for the chance to win. This is an awesome giveaway because it includes a cake of solids. I always forget to order the solid fabrics with my collections then I am stuck making it work with whatever I have in my stash. Most times it's just not quite the right color. But with this package you get the best of both worlds, prints AND solids! Bravo!! I'd love to use the Saddle Up charm pack!